iOS 11.0.1 update released: Here’s what's new in it? 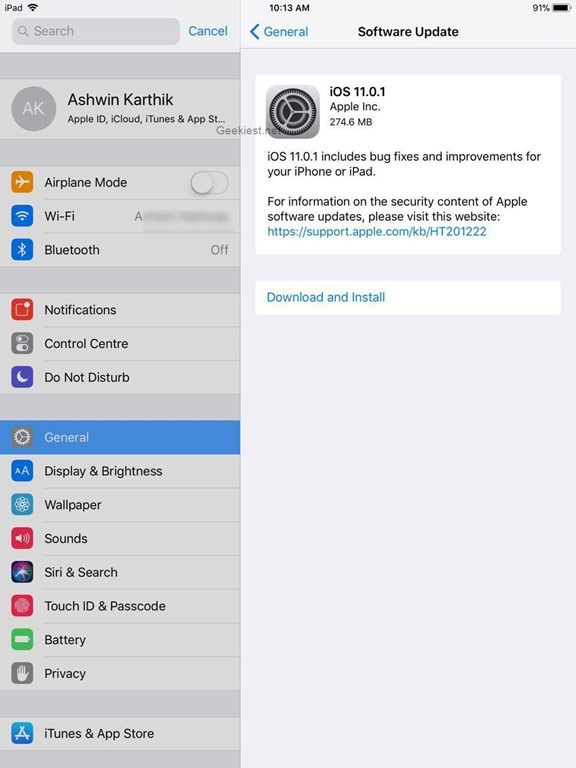 Apple has released the iOS 11.0.1 update today, but before you breathe a sigh of relief, you should know that this does not fix the battery issues caused by iOS 11. Instead, this is a security fix, and as such an important one. So, what's new in it? After the iOS 11 roll out began, the Cupertino company had received multiple reports that users were not able to send emails using Microsoft services, such as Outlook.com, Office 365, and Exchange mail accounts. As you may be aware Office 365 and Exchange Mail cater to businesses, and are very important clients of Microsoft. Several of them use Apple devices for communication, which is why the company has rushed to release a fix for the problem. According to a support article on Apple's website, the iOS 11.0.1 update fixes the issues with Outlook.com, Office 365, and Exchange mail services. iOS 11.0.1 update released: What's new in it?